‘VSSU’, is a trusted name when it comes to world class glass Erlenmeyer Flask. 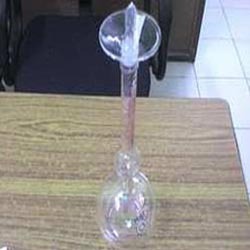 We offer premium quality glass Erlenmeyer Flask that are available in various sizes, types and dimensions to fulfill different needs of our diverse client base. The superior glass flasks, offered by us, are praised by our clients for unbeatable features. For catering the variegated needs of our clients, we are deeply engrossed in offering a qualitative array of Le-Chatelier Flask. It's funny how something as simple as a flask can be a treasured personal object. We think you'll agree when you take one of our flasks in-hand that the quality of this keepsake is something worth hanging onto. 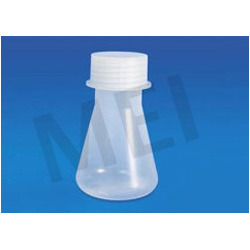 Keeping in mind the emerging needs and requirements of our clients, our experts are engaged in offering an enormous range of Plastic Conical Flasks.